Friday, November 23, 2018, 10:00 start time. Click here to Sign-up. Participants should be at line-up location by 9:00 a.m.
YouTube video of 2017 parade. Thank you for participating in the 43rd Annual Grosse Pointe Santa Claus Parade – Christmas Around the World! 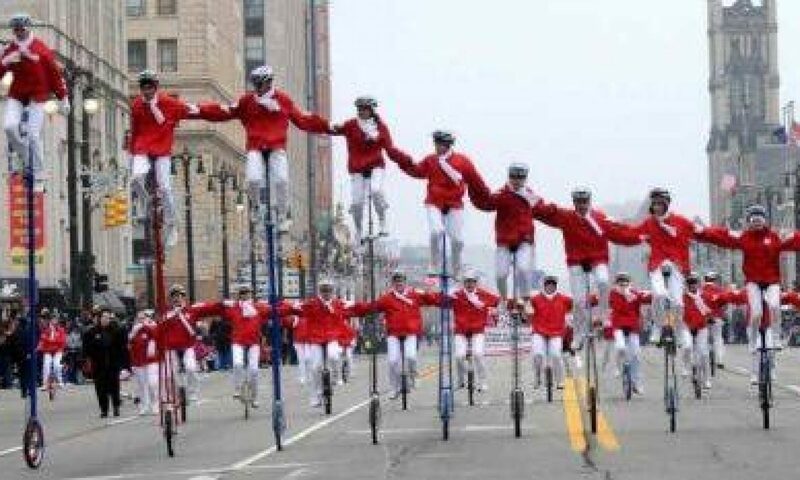 The official start of the Parade on Lewiston & Kercheval begins at 10:00 a.m. 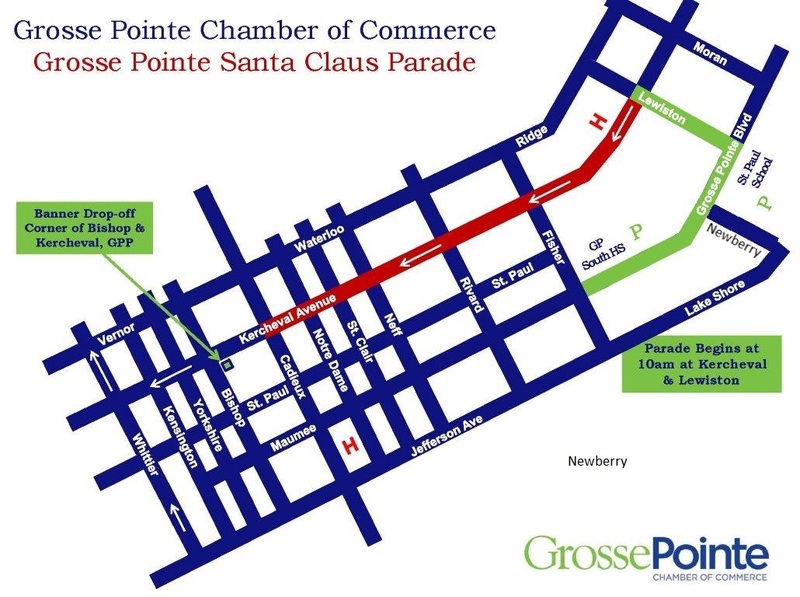 The staging area for the Parade will be on Grosse Pointe Blvd. between Lewiston and New Berry. The Parade will be divided into sections beginning with Section A at Lewiston working down to Section G near New Berry. Parking is available in St. Paul Catholic School’s parking lot. You must enter the lot off of Lake Shore Road, Grosse Pointe Farms. Grosse Pointe Blvd. will be closed due to the staging of the parade.